Whether you're looking to explore the UNESCO World Heritage Site of Assisi, unwind by Lake Trasimeno or marvel at the cliffside city of Orvieto, this guide will help you choose things to do in Umbria to create the perfect trip. Follow carefully plotted itineraries around Perugia and Terni, learn about Umbria's wealth of art, and read up on central Italy's fascinating history. Insider tips, plus recommendations for the best and most authentic hotels and restaurants, will ensure you make the most of all this beautiful region has to offer. 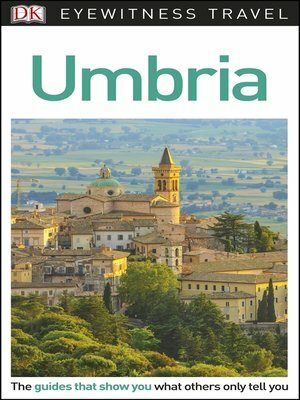 Packed with fantastic photographs, illustrations, and maps, plus detailed descriptions and useful advice, this guide will lead you to the best of Umbria. With hundreds of full-color photographs, hand-drawn illustrations, and custom maps that illuminate every page, DK Eyewitness Travel Guide: Umbria truly shows you this city as no one else can.